Driven by a mission of hearty and flavorful food, heartfelt service and public safety support, Firehouse Subs® surpassed company goals and industry averages, resulting in a record-breaking 2011. The brand grew by 79 restaurants, added 80 new franchisees and entered 13 new markets, including its first outside the continental United States. The average unit volume (AUV) grew from $604,000 to $657,000, an increase of 9.3 percent. Bolstered by a same-restaurant sales increase of 6.5 percent -- overall system wide sales grew by more than 20 percent. Firehouse Subs was also the first national chain to roll out the Coca-Cola Freestyle fountain in all restaurants. Reaching 57 million people through 110 donations, Firehouse Subs Public Safety Foundation expanded its ability to support a larger audience from municipal and volunteer fire departments, police departments, and emergency medical services to volunteer organizations, like the American Red Cross, and public school systems. Raising $1.8 million in 2011, the Foundation donated items including a rescue boat, fire extinguisher training systems, automated external defibrillators, all-terrain vehicles, thermal imaging cameras and extrication tools. Firehouse Subs executives personally thanked more than 3,500 employees for their dedication through a tour of 37 high-energy “crew rallies” performed across the country. The two-hour show taught the company’s history, reinforced the mission of hearty, flavorful food and heartfelt service and strengthened the commitment to support public safety through the Foundation. 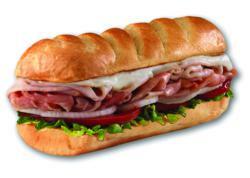 Continuing the momentum in 2012, Firehouse Subs will begin testing television advertising in several markets. The commercials will feature the firefighting brothers Chris and Robin Sorensen, who are the voices of the brand’s radio commercials. Firehouse Subs, founded by former firefighting brothers Chris and Robin Sorensen, is a 495-unit fast casual restaurant chain. Boasting a guarantee of “Our Way Beats Their Way, if You Don’t Agree it’s Free,” Firehouse Subs offers oversized portions of premium hand-sliced meats and cheeses, steamed to make the flavors burst, then piled high with fresh produce atop a toasted sub roll. The restaurants reflect the authentic firefighter heritage of the founding family’s 200 years of firefighting service. In 2005, Firehouse Subs created the Firehouse Subs Public Safety Foundation with the mission of providing funding, life-saving equipment, and educational opportunities to first-responders. Through the non-profit 501(c)(3), Firehouse Subs has given $3.5 million to hometown heroes, impacting more than 335 communities. For more information about Firehouse Subs, visit Firehousesubs.com, Facebook.com/firehousesubs or follow on Twitter at @firehousesubs.